To be successful, organizations must drive ERP application integration across the enterprise throughout multiple departments and agencies. 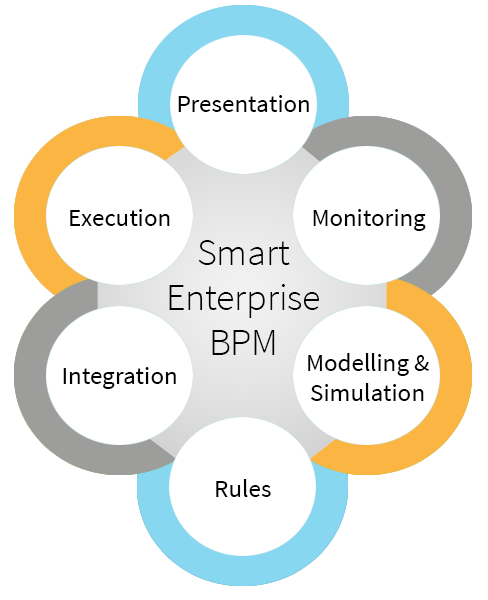 Smart Enterprise BPM is a solution designed to streamline and tailor business processes to your organization’s needs. Smart Enterprise BPM Suite delivers truly seamless, end-to-end management of tasks, execution and automation of end-to-end business processes, improving cross-departmental processes and leveraging process efficiency and excellence as a means to drive strategic advantage. Our Smart Enterprise BPM™ Framework’s, the software infrastructure provides the core functionality for orchestrating steps related to, and navigating end users through, ERP application business processes.